Banff Town Council has developed the 2019-2022 Strategic Plan that outlines priorities for our community over the next four years. 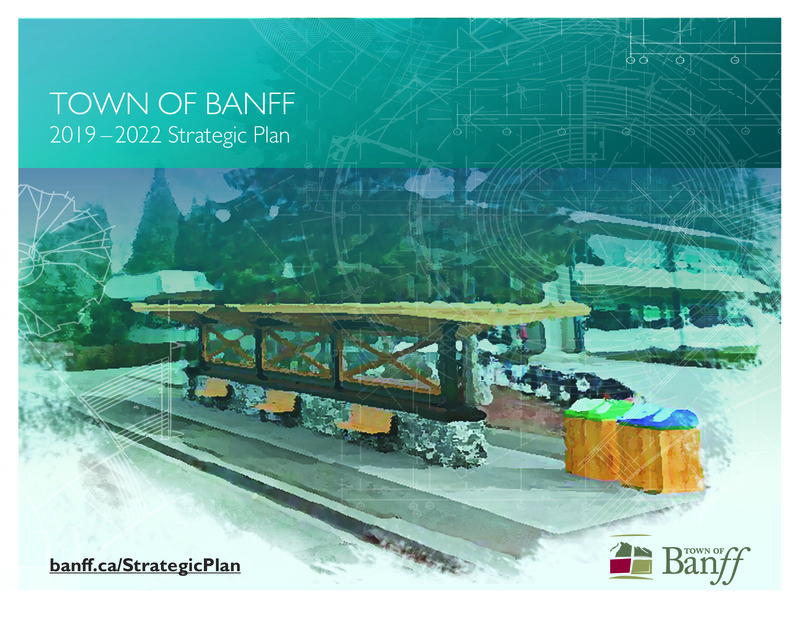 The new strategic plan has been built on direction from Banff’s long-term plans, combined with new data, deeper research and insights, and town council deliberation on a range of issues facing Banff. Topics that are identified as priority areas in the strategic plan receive additional attention over the four-year period, in terms of strategic development, staff focus and resources. The strategic plan was adopted by council as a guide for the municipality over the next four years on April 8, 2019. Priority areas in the strategic plan will require Town employees to provide more time, develop strategies, implement new approaches, dedicate more resources, and likely a combination of these factors to achieve results. The strategic plan is not a list of everything the Town does. The Town will continue to provide more than 100 programs and services for the various and evolving needs of our community. The strategic plan also only identifies new programs; activities within a priority area that have become part of ongoing operations will not be listed in the strategic plan, even though they are helping achieve goals set out in the strategic plan. Tactics – specific actions, projects, policies, investments, programs, research… set on a timeline over the next four years. The strategic plan for the next four years has been created on the foundations of Banff’s long-term Community Plan and several Master Plans that define the direction for our mountain community. These long-term plans have been created with substantial public input. The implementation of plans also involve public participation to ensure projects will meet local needs. The new strategic plan continues to address several of these priority areas. Other priority areas were merged, such as trails and transportation, under the heading “Improving Active Routes & Transportation,” and components of housing, economic prosperity, recreation and social well-being were merged in a new focus on “Addressing Cost of Living.” Some components of these previous priority areas were not identified in the new strategic plan because they have become part of ongoing Town operations.